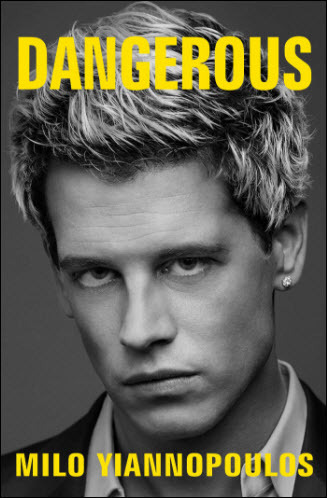 Some in the book industry are questioning Simon & Schuster’s coming publication on March 14 of Dangerous by Milo Yiannopoulos. A British journalist and the tech editor for far-right Web site Breitbart, Yiannopoulis is a supporter of the alt-right movement in the US. He was permanently banned from Twitter in July 2016 following harassment of actress Leslie Jones. Spurred by the question of the Chicago Review boycott, a private list-serv of key professionals in international publishing has been lit up for days by a debate that some might recognize as “the ACLU problem”—a reference to the American Civil Liberties Union’s need at times to defend the freedom of expression of the most unsavory speech and views. For the moment, the most telling element of the controversy may be that Dangerous pre-orders on US Amazon.com at press time are ranking it No. 1 in the categories of Commentary & Opinion and Censorship. It’s ranked No. 2 in Political nonfiction. As freedom of expression questions are examined, the free market is very much in play.